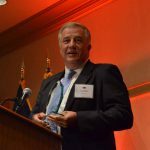 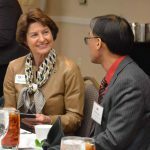 On Tuesday, October 16, 2018, the America China Society of Indiana (ACSI) hosted its seventh Annual Gala & Business Conference at the Hilton in downtown Indianapolis. 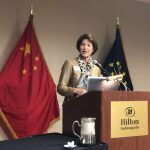 Kicking off with welcoming remarks by Elaine Bedel (President, Indiana Economic Development Corp.), the Business Conference featured panels and presentations on the US-China Economic & Trade Outlook, Foreign Direct Investment & Inbound Business, and Export, Trade & Tariffs. 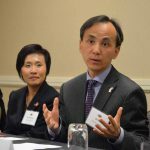 Co-led by ACSI and the Chinese Consulate, the Conference also featured an economic development roundtable with Indiana economic developers on best practices given the current US-China trade frictions. 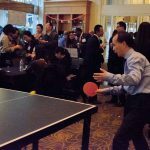 The Annual Gala started with a networking reception with hors d’oeuvres, ping pong and a photo exhibition featuring the 40th anniversary of the opening of China. 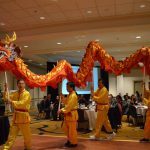 Acting Chinese Consul General Mr. Liu Jun offered keynote remarks followed by performances by the Indianapolis Chinese Community Center, Inc. ACSI also awarded its Friend of China, Friend of Indiana, and Chen Legacy Awards to Buchanan Group, BWI Group and Agnes Wolverton respectively.